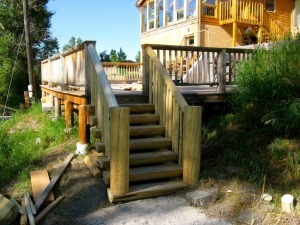 These log stairs were a challenge and the original contractor left the job without completing. 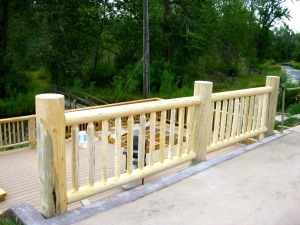 The stringer and stair treads were fabricated by a log home builder as well as the railing system. There was a safety issue and the client was concerned about the grand children falling to the lower level. 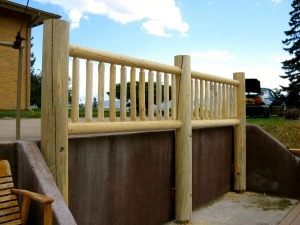 Our solution was to anchor a log railing to the concrete wall with redheads.